Heads up that Lake Erie Toolworks will be participating in the “Handworks 2015” event that will be taking place in Amana, Iowa on May 15-16th, 2015. This gathering will also feature many other high quality woodworking toolmakers and celebrities (like Roy Underhill) from the woodworking world and we would greatly encourage you all to come on out to this tremendous extravaganza. It might be a year away, but the time will go quickly, so make your plans soon. 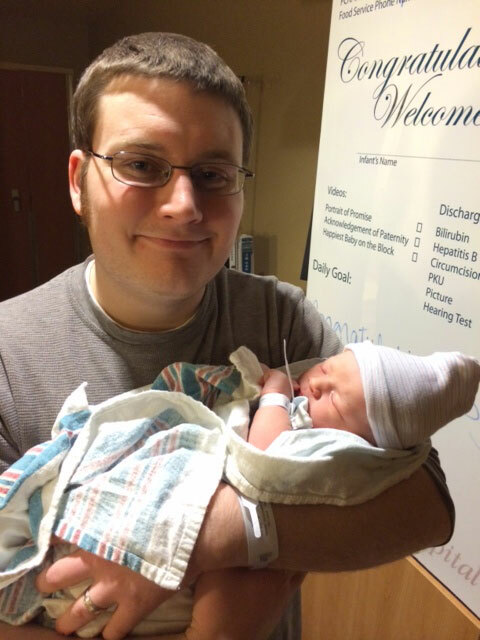 Announcing a tremendous new addition to the Lake Erie Toolworks Family (literally). 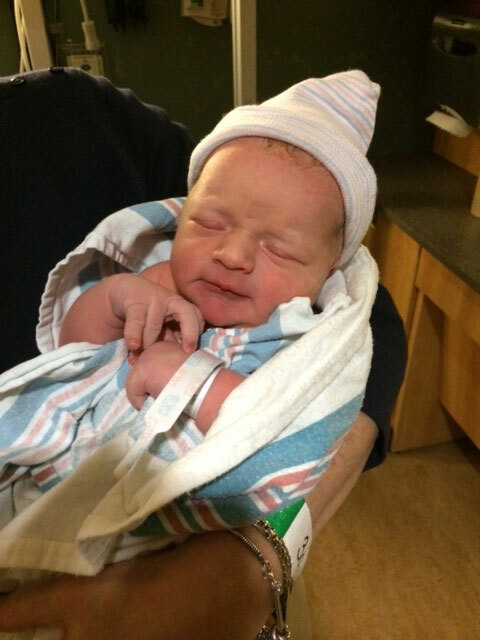 Joseph Nicholas Dombrowski first child of Nick and Rachel Dombrowski was born on Easter Sunday, March 20th at 11:30pm. Weighing in at 7lb.-11oz. and 20″ long. Mother, Father and Baby are all doing very well. Now we know the next generation that will be turning out the finest wooden vise screws and traditional woodworking tools possible. Quick heads up about our good friend Mark Hicks from the Plate 11 Bench Company. He will be demonstrating his Roubo style workbench kits at the upcoming Lie-Nielsen Hand Tool Events taking place at Jeff Miller’s Handcrafted Furniture location in Chicago, Illinois this Friday and Saturday, April 11th & 12th. 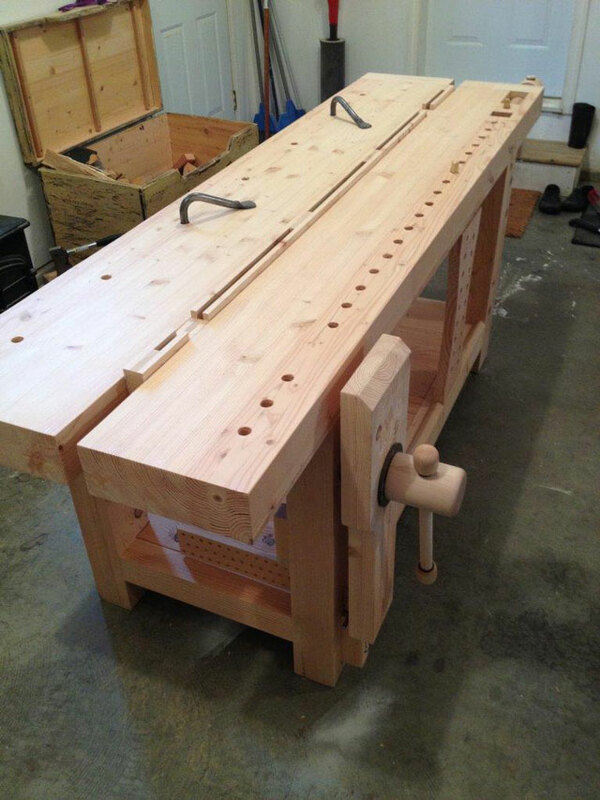 Furthermore, he has a fully stocked Roubo beauty ready for sale that features a Lake Erie Toolworks Premium Leg Vise kit that is tapped directly into the leg. This bench also features a Reproduction Roubo Plate 11 Iron Package hand forged by Peter Ross. This is one amazing workbench. Here’s the link to the Plate 11 blog site with further details. 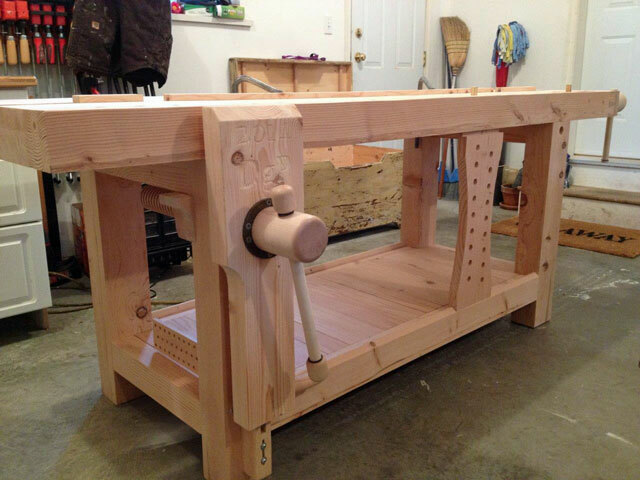 Our April 2014 Workbench of the Month comes from Dino P. from Gibsons, British Columbia – Canada. 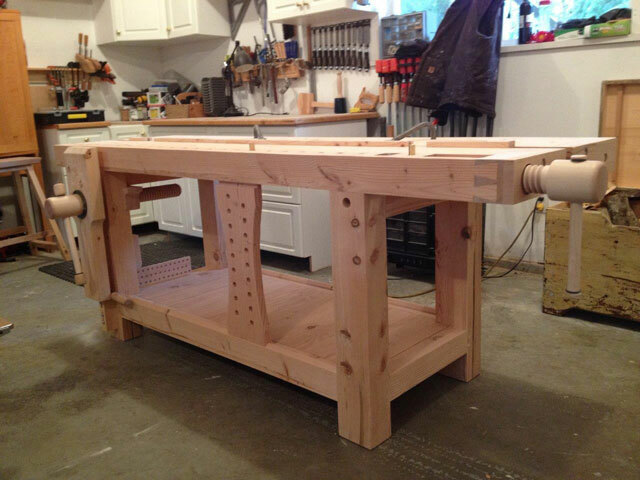 Dino has created a great split top workbench that has both a leg and wagon vise. 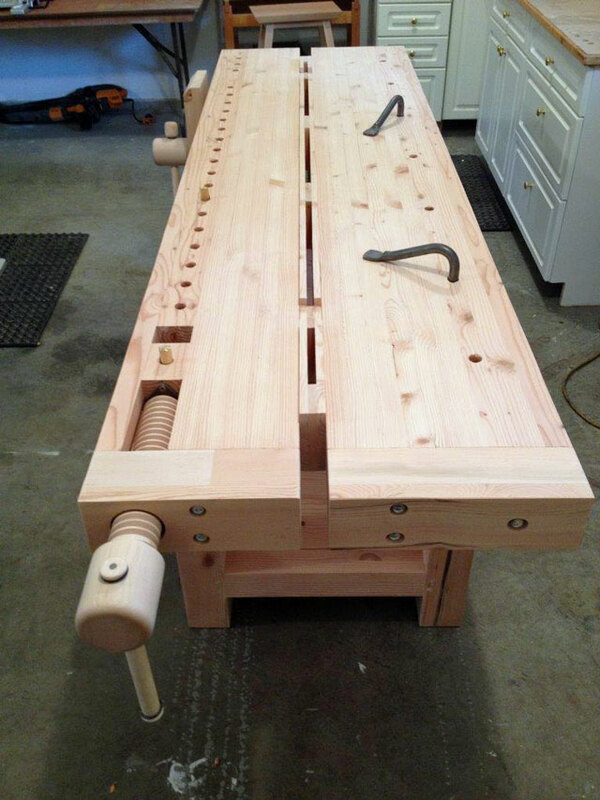 With the array of clamping capabilities that this bench provides, it looks like a woodworker’s dream. Enjoy! 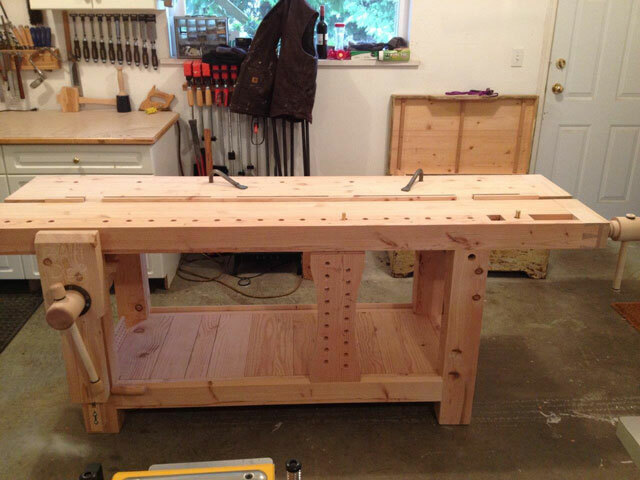 Find attached my split-top Roubo-style woodworking bench featuring your Leg and Wagon vise screw kits. It is made from West Coast Douglas Fir and also features a sliding deadman and split top with a “gap stop” that functions as a planing stop and tool holder. Have also added some roller brackets with sealed roller bearings to help feed the parallel guide on the leg vise. Base is assembled with mortise and tenon joints that are glued and also draw-bored. The top is 4 inches thick and bench is 7 feet long and overall width of 25 inches. Have also included some Gramercy holdfasts for additional clamping options.Bench does not have a finish applied as yet (just finsihed it last night) but plan on an oil/varnish blend. Thanks for supplying such a great product in both wooden vise screws, as well as detailed and clear instructions.